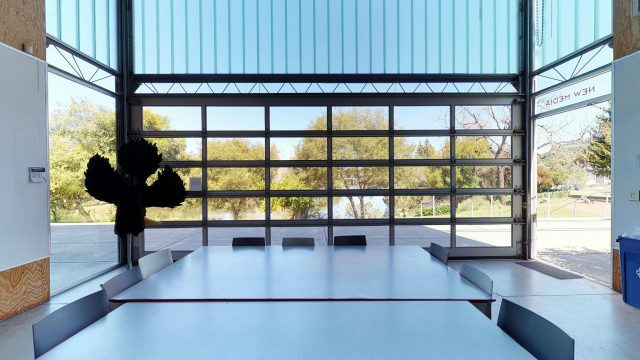 Oxbow is located on a three-acre campus overlooking the Napa River that was designed by Modernist architect Stanley Saitowitz. 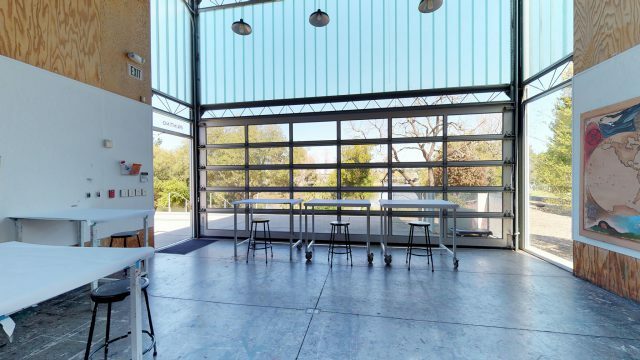 The campus is breathtaking with river views, rose gardens, and fully equipped 1250-square-foot studio buildings. 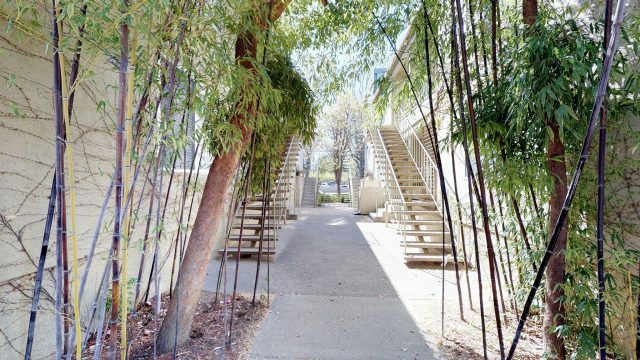 Oxbow has two student dormitories, faculty residences, and a communal dining hall. 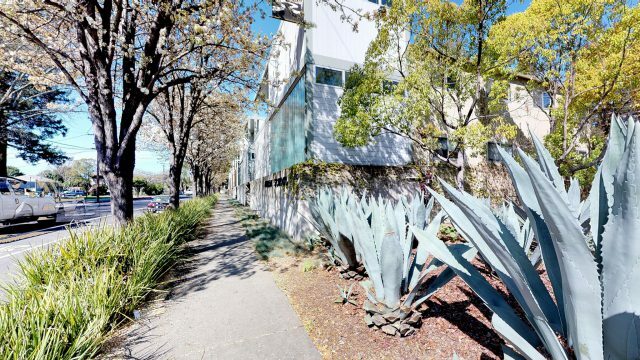 The school is located within walking distance of cafes, shops and theaters in downtown Napa, just an hour away from the many arts and cultural attractions of San Francisco and the Bay Area, and within day-trip distance of the Sierras and the Pacific Coast. 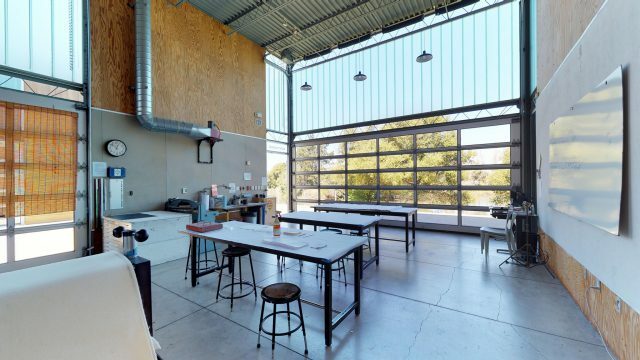 The state-of-the-art studios open onto the bank of the river through expansive glass garage doors that provide north light and an inspiring view. 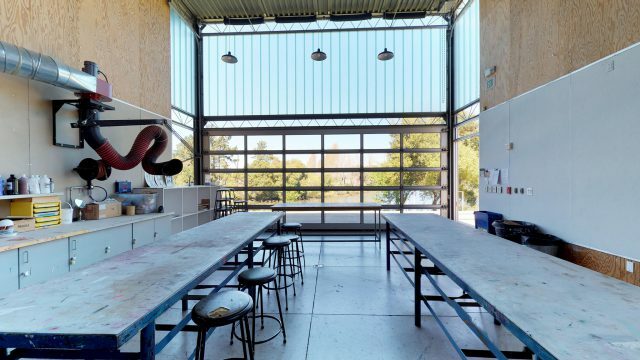 Each of the studios is dedicated to a specific medium: painting and drawing, printmaking, sculpture, and photography/new media. These high-ceilinged studios are the focal point of the school, the primary teaching/learning spaces where students spend most of their time. All students live in dorms adjacent to the studios that feature carpeted, three-bedroom suites, each with two bathrooms, a washer/dryer, and a common room. WIFI is available throughout the campus. Students at Oxbow live and study in close contact with staff and faculty, mentored and supported by our residential life team. All Oxbow faculty members live on campus and provide 24-hour presence, 7-days a week. 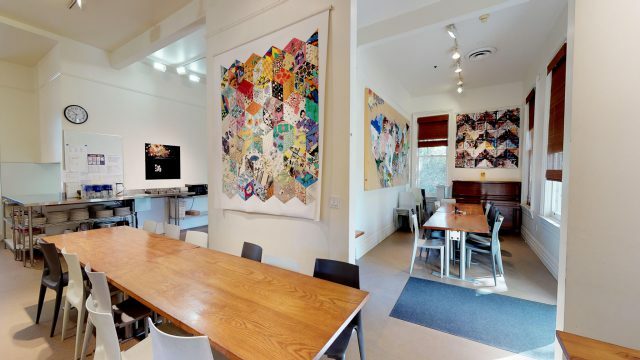 Housed in the historic Scaruffi House, the Oxbow dining hall is only steps away from the dorms and studios, and includes a deck overlooking the Napa River for outdoor dining. The restoration of Scaruffi House, based on historic photographs or the original building, has won an Award of Merit from the Napa County Landmarks Association. The food served in the dining hall is legendary amongst alumni, visitors, and friends. For more images of the Oxbow campus check out our flickr page!